BOTS FINANCE: BICYCLE FINANCING OPTION – Your dream ride. Today! 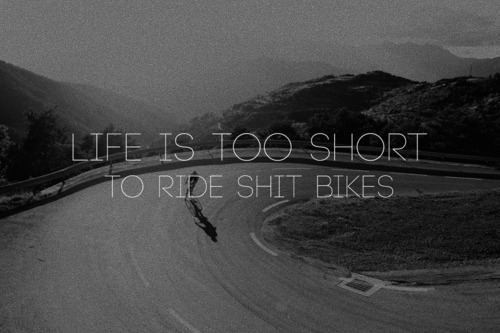 At BOTS, we are kicked about inspiring Indian’s to give cycling a shot. And to continue playing an active role in this awesome life-altering journey. Putting people on the best possible bikes is an obsession. 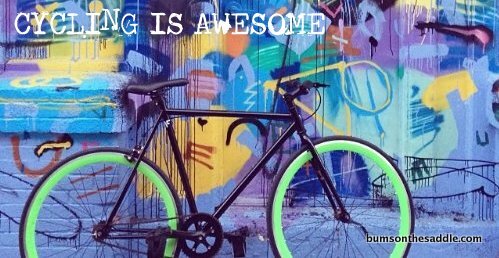 Good bicycles make you want to ride em all day long, the ride is typically the best part of your day and they definitely leave you feeling happier. In short – Good toys are great. Bad toys are well, bad toys. Crazy exchange rates and a steep anti-dumping duty has unfortunately made good bicycles expensive. THE SOLUTION – is NOT to settle for a cheaper bicycle! They are just not as awe-inspiring as a well designed product. You could consider a second hand bike (check out the awesome Indian cycling marketplace) or look at renting a bike (bike rentals) before you jump the gun and invest in one. You ride your dream ride today with some financing help from BumsOnTheSaddle. THE BOTS BICYCLE FINANCING program is focused on getting you riding your dream ride today! Our process is simple, fast, and affordable. We would be happy to help you every step of the way, explain all the options available and help you determine which financing plan works best for you. The BOTS BICYCLE FINANCING Program offers multiple bicycle financing options – 12, 24 and 36 month tenures. The rate of interest is around 8.8% per annum. There are no last minute extra costs or additional fees. If you’ve financed items in the past you were probably surprised to find that when the final loan documents were presented there were certain fees and processing charges added to your total cost. There are no additional fees or costs with any of our financing options. Good bikes tend to be expensive. Financing a bike purchase and spreading your payments over time allows you to maintain financial flexibility, better cash flow and at the same time enjoy the ride of your lives! Financing also gives you the opportunity to consider new and better technology rather than having to settle for a bike with downgraded componentry or a pre-owned or used bicycle. 1. Review our bicycles and determine which model fits your needs. 2. Understand the total cost of your bicycle and the financing options available for the bicycle. The minimum amount that can be financed is Rs. 40,000 per loan. 3. Fill out and submit the offline credit application along with required documentation. Approval time takes on an average 2 working days to be approved. Longer timelines to be expected in case of bank holidays. 4. Once you’re approved, we’ll contact you and work out the details of your purchase. 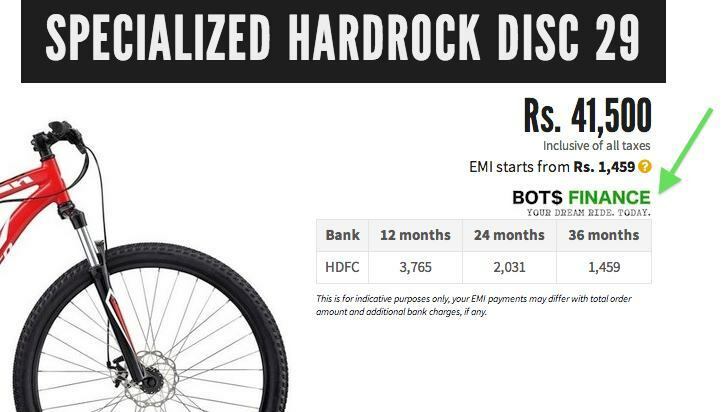 Every bike that is eligible for finance has all relevant details on the individual bike pages on the BOTS website. If you need more details, just get in touch with the BOTS team!